It’s been a while I was willing to share with you a post about one of the most impressive films I’ve ever seen, made by a very young director (who’d become a mogul). 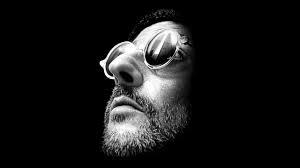 On top of the purity of the movie itself, Léon (a.k.a. 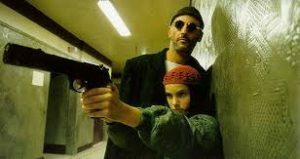 The Professional) is a pure jewel in terms of story telling. It’s simple and beautiful. All characters are deep and still look so easy to read through. 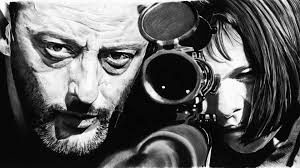 Léon takes lives for a living. He’s a child and drinks milk. 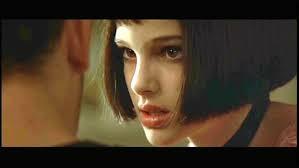 Mathilda has the body of a child, but she’s an adult, life forces her to be. I’ve just discovered a structure, a diabolically geometric shape. He kills people but all he thinks about is his plant. He lives, but he’s dead. She should die by she survives. She brings him life. While accepting it, he accepts his own death. To die in order to give life. The above lines are pure poetry, pure love, pure heart. No business, no millions, no fans, no superheroes. Just the perfection of eternity in a movie written in 30 days, a movie that could become nothing else but a hit. So don’t ask me what kind of movie I want to make next! Ask me what kind of story I want to tell! I want to create something just as pure as that. A perfect geometric shape. It was in reading those lines that I discovered how the geometry of nature applies to art. There’s something in this geometry that vibrates and reaches us all. Maybe that’s what they call art!? And until recently, I didn’t know I had this vibration inside of me. We all have it within us. In our hearts, in our souls, but the major challenge is to become aware of it and accept it. Now, let’s enjoy 4 minutes and a half of pure black & white poetry lesson.